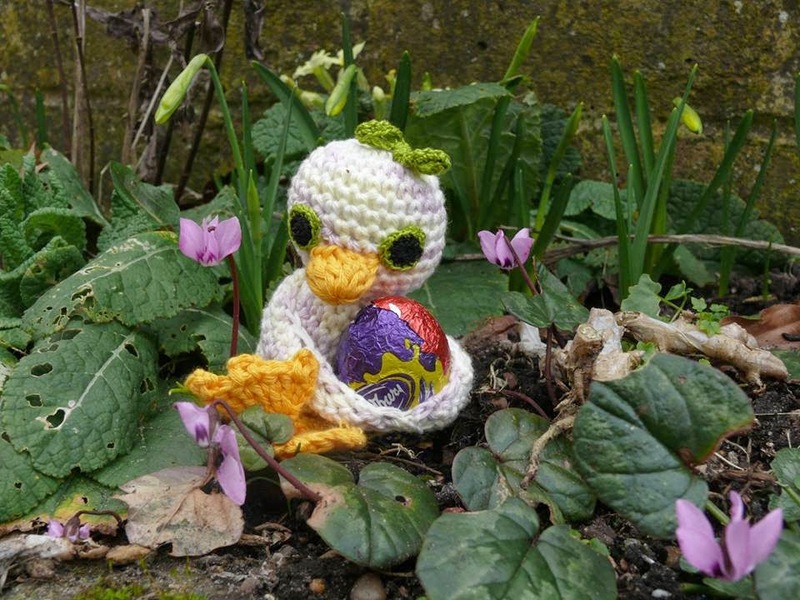 String Theory Crochet: A Collection of Easter patterns, free basket patterns, free flower pattern. A Collection of Easter patterns, free basket patterns, free flower pattern. This one is very recent. I call these cute but crazy-eyed ducklings "Egg Huggers". They don't like to share ! An old favourite for a jumble of Easter favs. 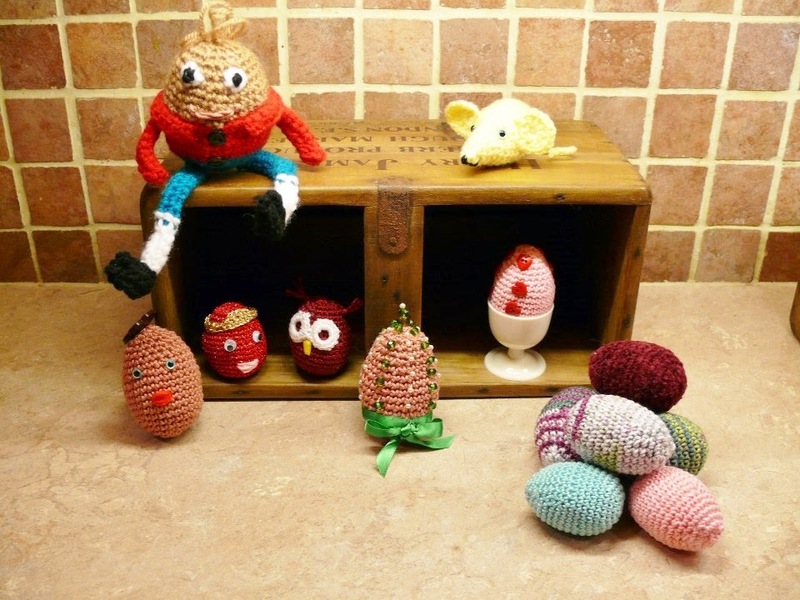 Humpty, an adaptable egg and instructions how to make it into a variety of designs including little mice. 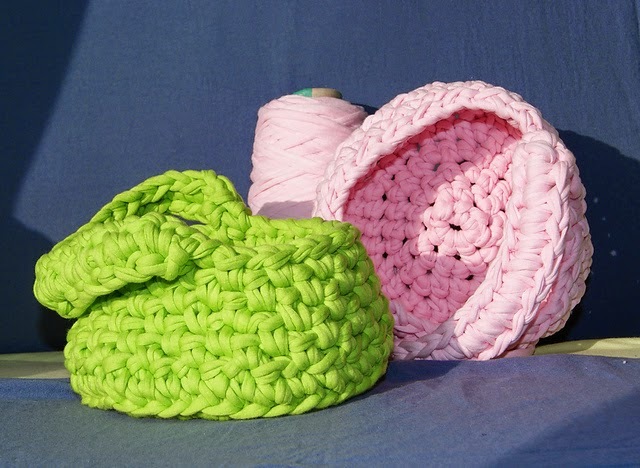 Little Baskets made from upcycled t-shirt yarn (Jersey). Really quick one-row patterns for roses (and daisies on the same page) Pretty! My absolute favourite. A lovely, tiny bunny basket. OOOh love all your your seasonal patterns! The egg huggers are fab- and brill bunny basket! The T-shirt yarn baskets have a cool shape! Brill to have such a versatile egg pattern too! Hope you have had a Happy Easter...full of fun, creating and of course, chocolate!